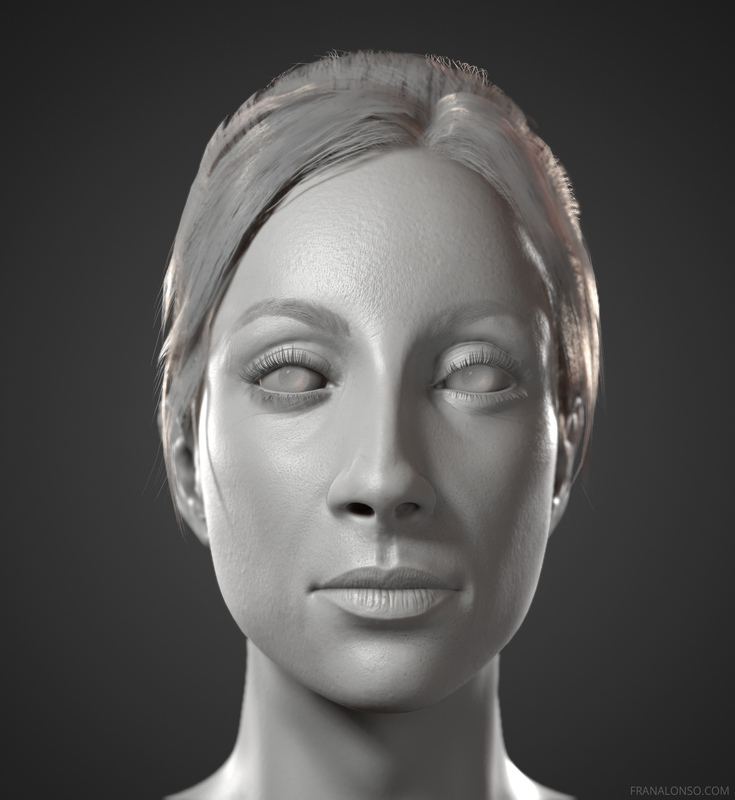 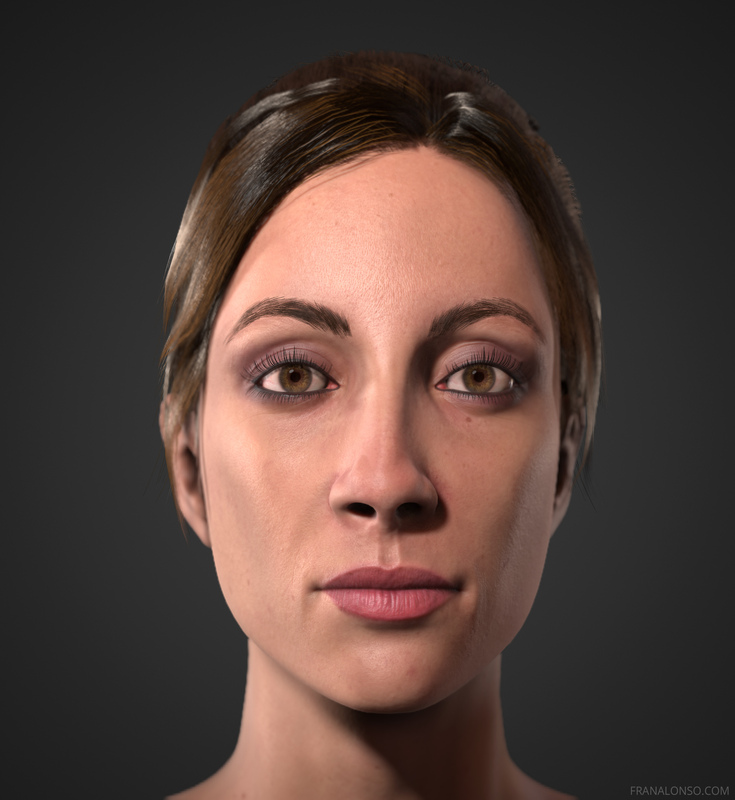 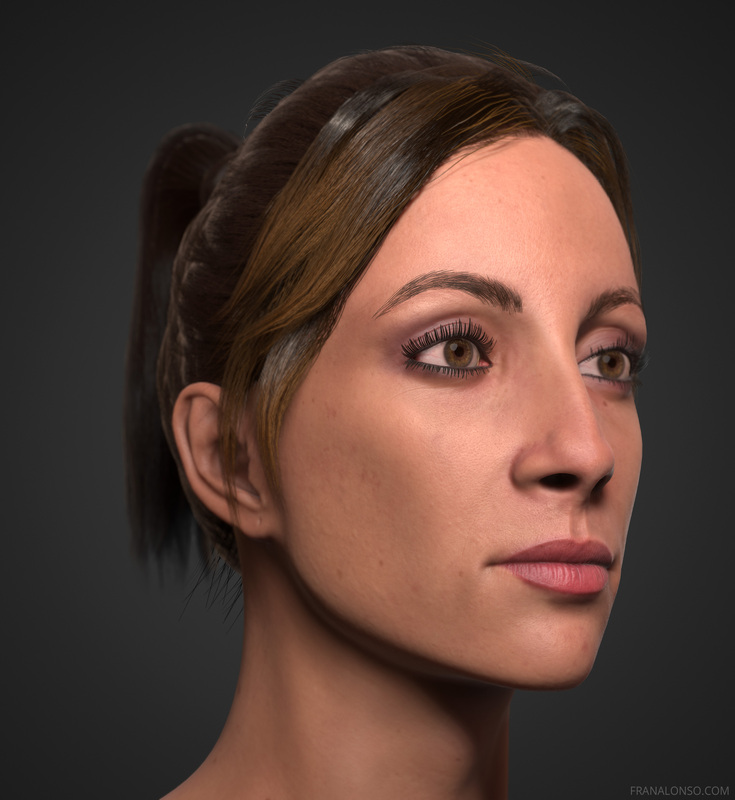 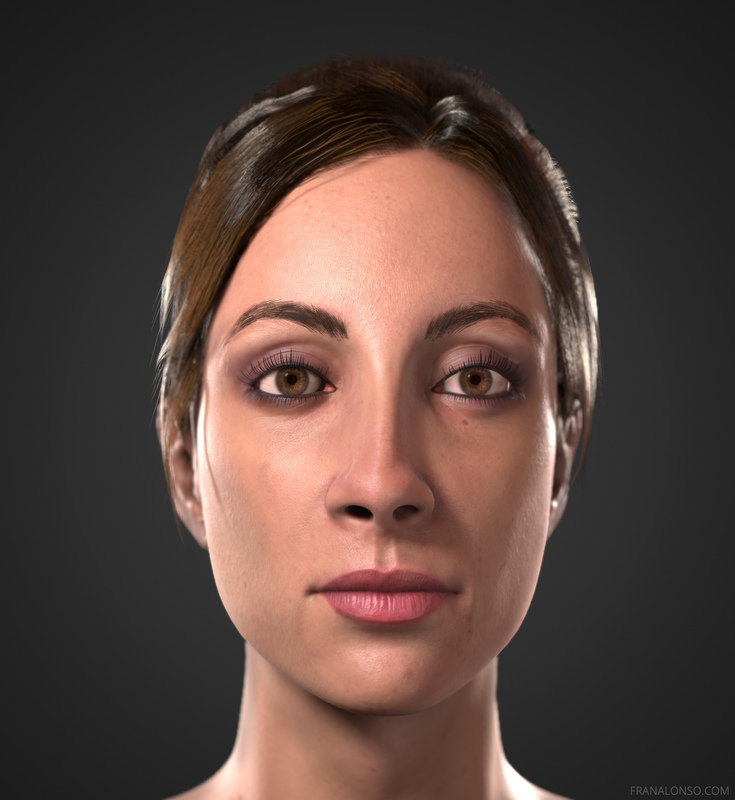 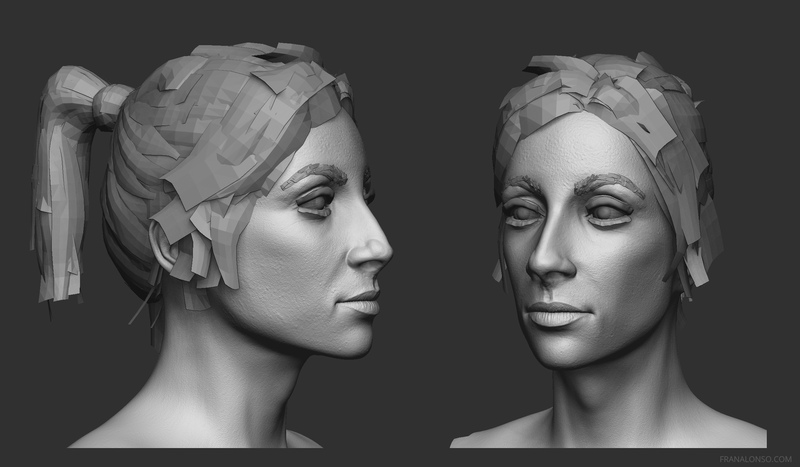 Real-time realistic female head. 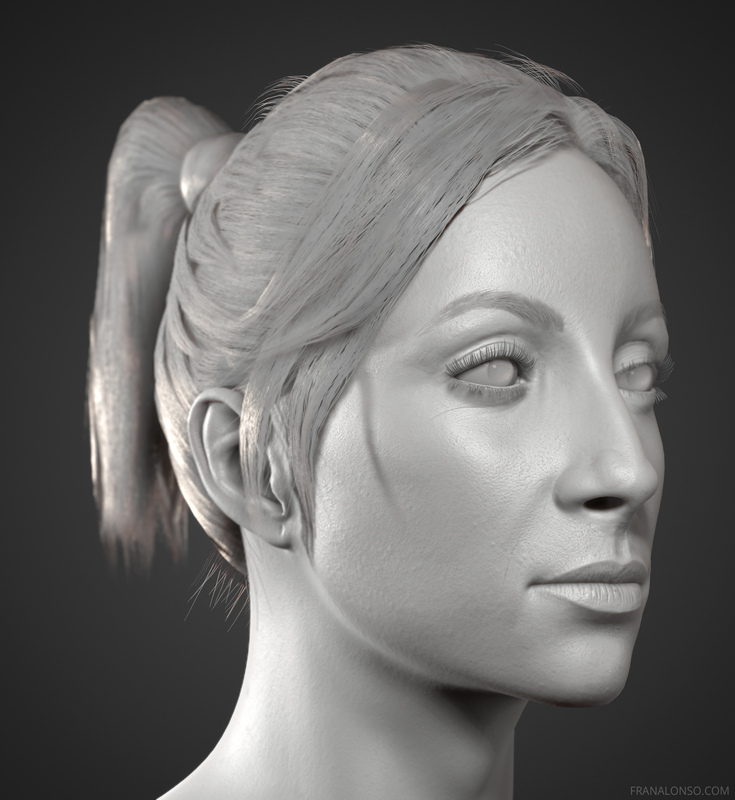 Sculpting done in Zbrush and fine detail projected from Texturing XYZ maps. 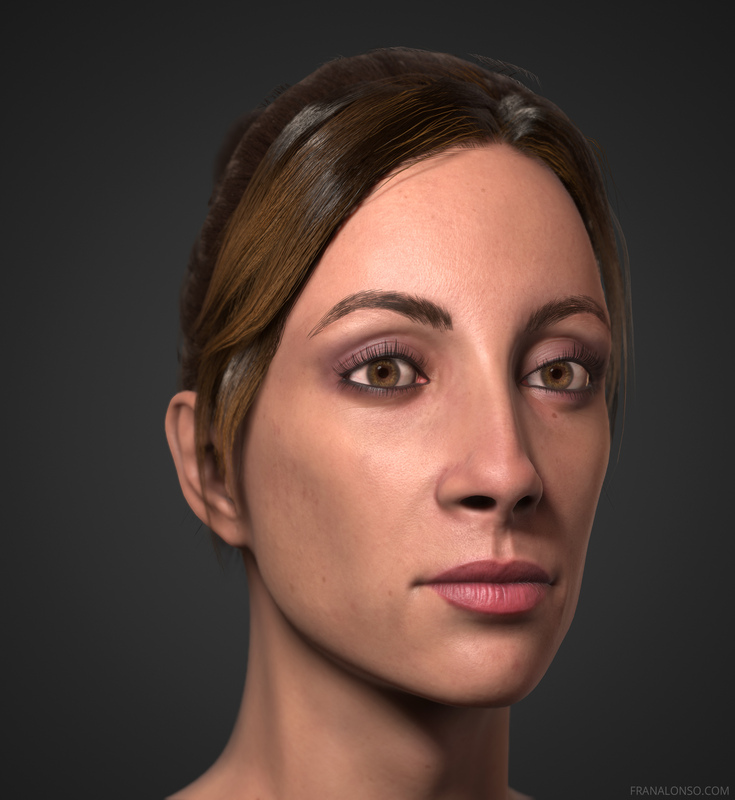 Copyright Fran Alonso © 2018.